Simpler is better in the world of grinding. Effective gravity feed with customized infeed and discharge chute and conveyors deliver optimal performance. WSM’s rugged, productive, and easy to maintain vertical grinders help turn waste in profit. Providing simple, energy-efficient size reduction. WSM’s wide range of model sizes and rotor configurations inure the right machine for your application, offering superior performance and maximum thru-put. Quick and safe access to main wear components with WSM’s revolutionary pivot housing allowing all infeed components to remain in place. Replaceable hammer tips that are also reversible and replaceable. Higher thru-put and uniform product sizing with a heavy-duty rotor using swinging or rigid hammers. Gravity or air discharge options available. Reliable, long-term operation with field proven performance in the most demanding applications around the world. Smart design features make your operation run smoothly. Years of field experience have gone into the features that make your operation easier to run – and your WSM grinder easier to maintain. 1. Easy access. Optional hydraulically-opening pivot housing allows easy access to routine wear parts. All infeed components remain in place when opening grinder housing. 2. Interchangeable tooling allows us to select the best hammer style and configuration for your application. Options include replaceable/rebuildable tip hammers and our patented chipping head (US patent no. 5,819,825). 3. Four-way reversible alloy steel, heat treated anvil, and modular components give you longer life between replacement. 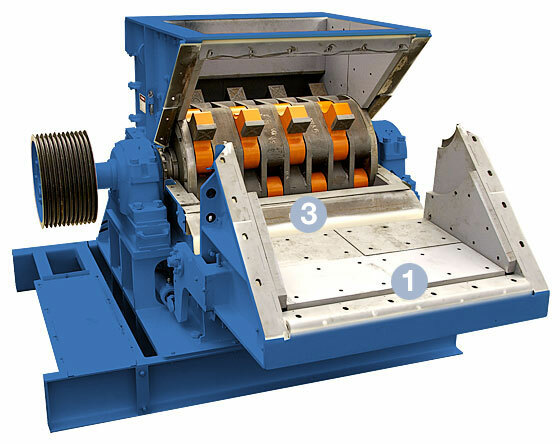 WSM offers various rotor configurations, screen sizes and types, hammer styles, and discharge options to configure your grinder. Let us know what you’re grinding, and your desired finished product; we’ll work together to configure your grinder to your specifications for maximum productivity. Learn how a large Indonesian based pulp and paper mill overcame the challenge of shredding Eucalyptus and Acacia Bark while increasing production capacity by 50% with engineered solutions from West Salem Machinery. Construction/demolition waste being processed through WSM Vertical Grinder/Hog with ballistics chute. Ground material is fed to WSM Disc Screen for classification. Includes multi-stage grinding and screening. WSM supplied structures, platforms, and metal transfer conveyor. Pellet feedstock processing. Note belt conveyors with top covers for material containment. Evolving recycling markets now include processing food waste for anaerobic digestion. WSM Grinders and Screens are part of that process. Two installations processing wood waste for biomass feedstock. Material is initially fed to a Disc Screen to remove material already to spec, with the “overs” going into the Vertical Grinder. 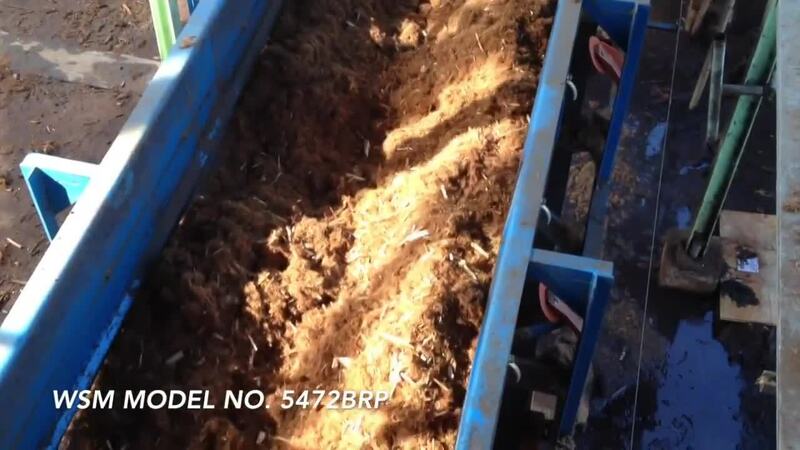 Using WSM Vibrating Screens, Shredders, Oscillating Screen, and Hammermill to produce premium quality bark and wood based products like soil amendment, playground chips, and ground cover. Hover over circles to see features of the Vertical Grinder. 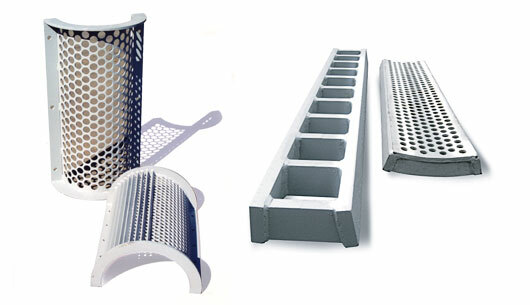 Abrasion resistant steel screen bars or perforated plates produce a finished wood fiber in a single pass. Available in a full range of sizes. Vertical Feed Grinder/Hog with customizable infeed chute *See note in footer. This system includes our unique ballistics chute, discharge conveyor, and maintenance access platform. WSM Grinders can be part of a complete system to incorporate multi stage grinding, screening, and conveying. Find out if WSM Vertical Feed Grinders are right for your application now.